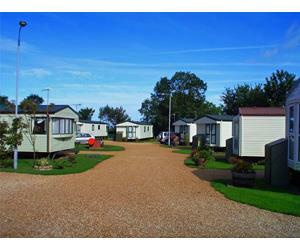 Small and very well maintained Holiday park in a picturesque coastal, country village, near Hunstanton. Situated adjacent to village church and a bird reserve offering eight self-contained static homes with heating. The classic has heating, but not central heating and only an ice-box freezer. Children welcome from any age. Upon reaching Holme next the Sea. Turn off the A149 into Eastgate Road. At the bottom of road there is a bend. Look straight ahead and you will see Sunnymead just into the lane in front of you.